The N7142 is the first presentation switcher to incorporate low-latency Networked AV video distribution. 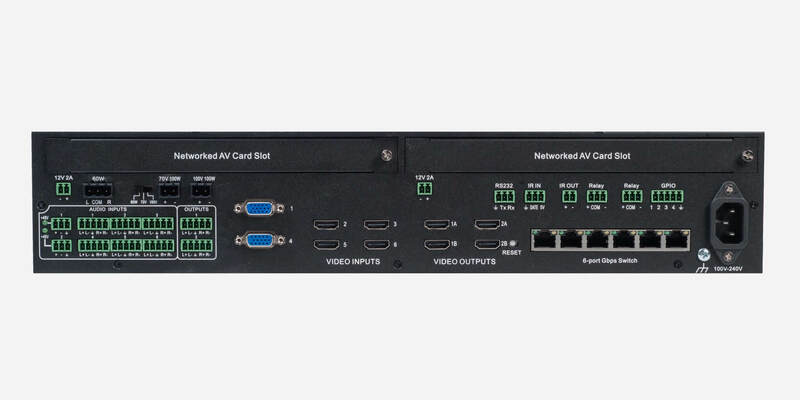 It has six local inputs, two outputs, and two available slots for any of our new and existing networked AV cards to support the best codec for the application. The four 4K60 HDMI inputs and two VGA inputs, can be independently switched between two HDMI outputs (one scaled, one unscaled). Each of the two outputs has a mirrored HDMI port so that the output can be sent to an encoder card, a second display, or other video distribution equipment. The N7142 also has extensive audio support, with a built-in DSP and 60W stereo amplifier capable of operating in 4Ω/8Ω, 70V, or 100V modes. In addition to audio from the HDMI inputs, the N7142 has six independent balanced stereo inputs and two independent microphone inputs with phantom power. Two models of the N7142 will be offered. 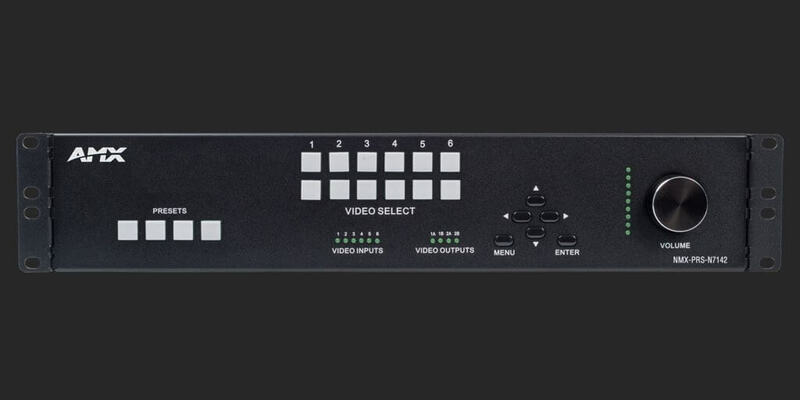 The NMX-PRS-N7142 is the base presentation switcher, with two available Networked AV slots that can be populated with encoder and decoder cards as required by the application. The NMX-PRS-N7142-23 is an identical presentation switcher, prepopulated with one N2312 encoder card and one N2322 decoder card, making it perfect for cost-sensitive 4K video distribution applications. 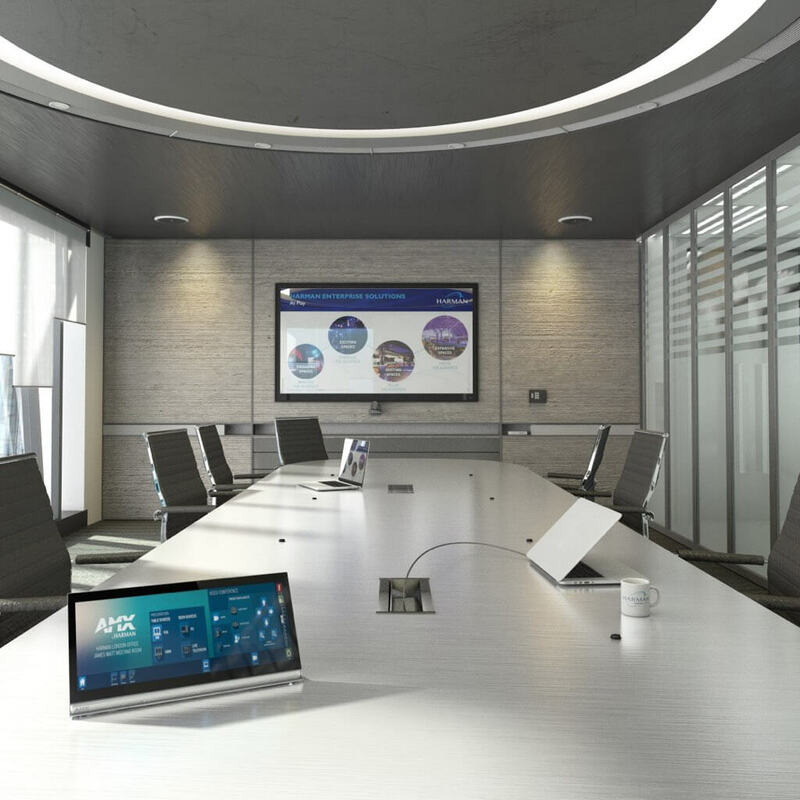 While the N7142 is priced right for any design requiring the need of a presentation switcher, the two available Networked AV card slots make it the perfect presentation switcher for active learning environments, or campuses where overflow support is required. Integrating the N7142 into a classroom is extremely simple, requiring only web page configuration to set up the system. The N7142 has Panel Builder built-in so that mobile device UIs can be created to control the switcher from anywhere in the room (assumes the mobile device has wireless access to the network were the N7142 is connected to). And, with a built-in 6-port managed switch the switcher and the Networked AV cards can be connected to the LAN with only a single network drop. 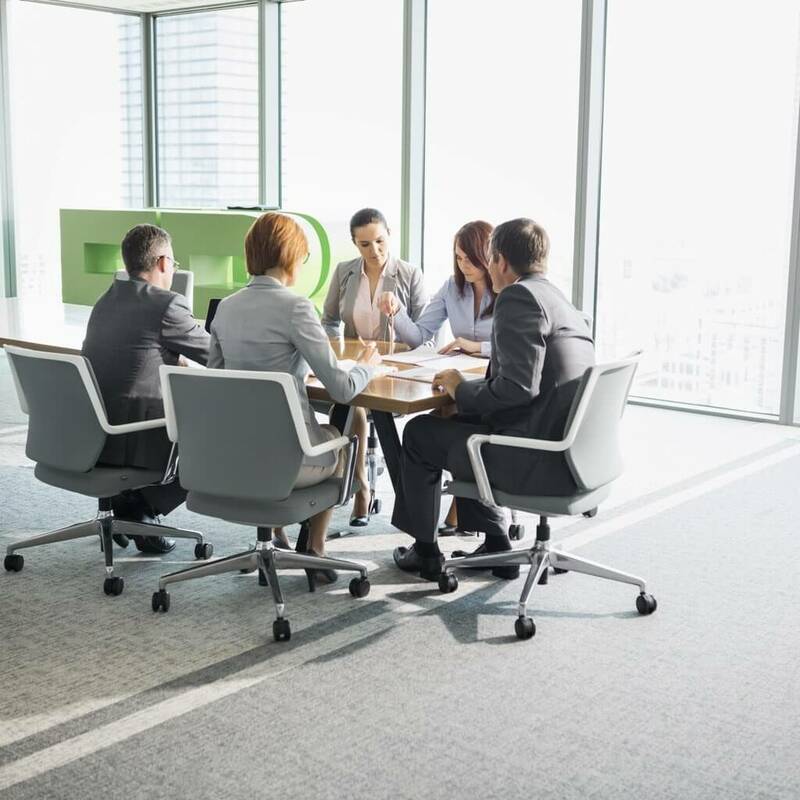 A cost-effective, and powerful enterprise-grade solution. 4K60 4:4:4 Video Switching – Switch and display 4K video sources without compromising video quality. HDMI 2.0 and HDCP 2.2 Support – By incorporating HDMI 2.0 and HDCP 2.2, the N7142 is compatible with all the latest 4K sources and displays. 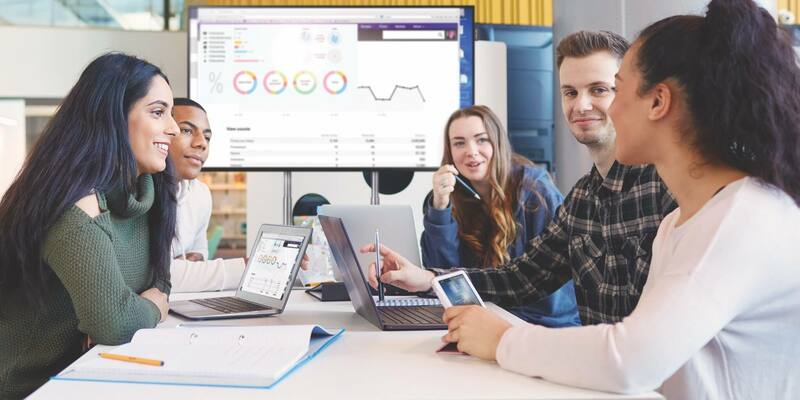 Integrated Networked AV slots and Gigabit Ethernet Switch – Distribute video in active learning environments or to overflow locations using built-in Networked AV technology. The Networked AV card slots are designed to support the existing encoder and decoder cards. Built-in Audio Amplifier with 4Ω/8Ω, 70V, and 100V Modes – Having built-in support for all three amplifier modes simplifies purchasing and sparing decisions. Front Panel Control – Provides a cost effective, simple solution for selecting inputs without the need for an auxiliary control system. Panel Builder Built-In – Operate the N7142 using a tablet from anywhere in the room. Perfect for cost-sensitive 4K video distribution applications. The first truly high-end and custom integrator in South Florida. dmg-mg is a certified direct dealer and integrator of AMX by HARMAN for enterprise, commercial, marine, and residential applications in the Miami / Fort Lauderdale area. Ensuring peace of mind, for the best price, professional installation, and warranty protection of your AMX Presentation Switcher with Networked AV. AMX MXR-1001 Modero X G5 Retractable Touch Panel.